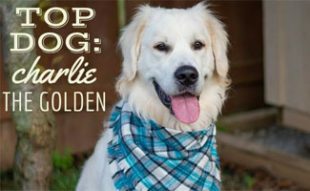 The latest in our Top Dog series is an interview with Canine Journal’s 2015 Dog of the Year Contest winner! Peanut is a small dog but has a huge heart and quite the personality. 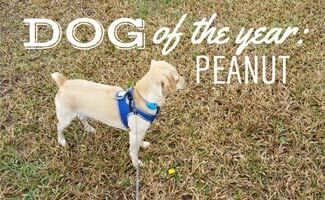 Since he was the winner of our Dog of the Year contest we wanted to take a moment to get to know Peanut better. Learn his story, his favorite tips and tricks and his best tips to stay active in the new year and beyond! Hello everyone! 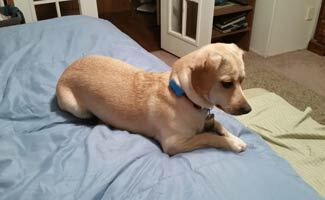 My name is Peanut, and I am a 14 month old Chiweenie. We live in Auburn, Alabama. 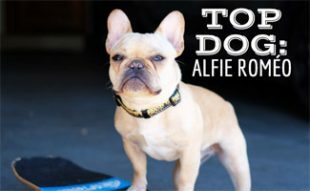 How does it feel to be the Canine Journal dog of the year? First, I would like to take a moment to thank everyone who voted for me to be Canine Journal’s 2015 Dog of the Year, what a great honor that is! I thank you sincerely with all my heart! How did you meet your rescue parents? My parents adopted me from All Creatures Vet Clinic when I was 6 weeks old. What’s your favorite trick and favorite past times? My favorite trick is shaking hands. My favorite games are batting the balloon with my mommy and daddy. I love to play with my doggy canon and I love to watch Dog Whisperer with Cesar Millan and other shows about animals. Where are some of your favorite dog hangouts? My favorite doggy hangouts are going down to the big creek. It has all kinds of wonderful places to investigate and this HUGE bridge. My daddy takes me up on it – it is so high! He takes me swimming in the creek when it is warm outside. Also we have a smaller creek in our Trailer Park… my Mommy takes me there on our walks. I love people and everyone that lives close to us knows me by name. My mommy and daddy take me with them most everywhere. But if I cannot go we have a close friend that babysits me on occasion (so I have fun with him too). 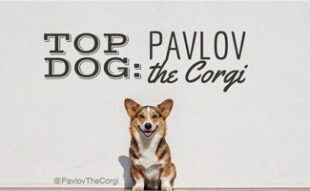 My plans for the new year are to work hard at my dog obedience classes and learn everything I don’t already know. I love my teacher Lisa. She is the local dog catcher but she loves me and spoils me with yummy, yummy treats! Any tips for staying active? My first tips to staying healthy is love. My mommy and daddy do everything with love. When I have been bad they punish me, but never harshly. They talk to me and I listen to them. When I don’t feel well or can’t sleep, my mommy will hold me and rock me to sleep. I love it when she sings to me – it calms me down. Also, eat lots of good food and sometimes give your parents a break by playing by yourself with your toys (don’t be to demanding). My mommy taught me I have to learn to play by myself sometimes. Enjoy your time with friends and family! 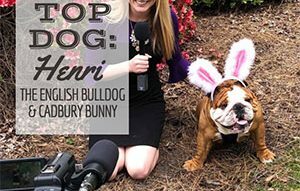 Who’s your celebrity dog crush and why? I have several doggy friends. My girlfriend is a Chihuahua and her name is Bo-Bo. I also have Oscar, Valentine and Paco as my best friends. Tell us about your favorite food? I am picky about food because my mommy makes mine homemade. It is cooked meat with brown rice and vegetables because I refused to eat store food when I was a baby. (Here are a few homemade dog food recipes your dog might like). But I found I also love Pure Balance dog food as long as mommy puts some fresh cooked meat in it. Chicken is my favorite meat, but I sure love my mommy’s meatloaf too! What is the best advice you have? My best advice for you is to stay happy and healthy. Try your best at everything you do and remember your family has so much love for you. Don’t abuse their love and try to follow the rules set forth in your home. Stay active, enjoy great food and most of all love! My family believes that God paired us up together. I was supposed to go live with someone else, but I guess they decided they did not want me. I am glad because I have my perfect family. My mommy and daddy and I share many special times together and I wish every doggy had this chance. I thank God for my family and I hear them say their prayers, thanking God for me too. It doesn’t get better than that. Thanks Peanut for sharing your love and advice! We hope you enjoy your new Fitbark and congrats again for winning Canine Journal’s Dog of the Year! Congrats Peanuts! Love our Fitbark for our dog so hope you enjoy it too to stay fit in 2016!